Most of my readers know about my dual fascination with both history and science and my love of fiction in both genres. I mostly blog about the history and science stuff, but also review books or movies about HF and SF/F. The new Star Wars movie is out on the origin story of Han Solo. I haven’t seen it yet, but plan to. I probably won’t do a movie review, but in the spirit of the time, I’ll do my readers one better. 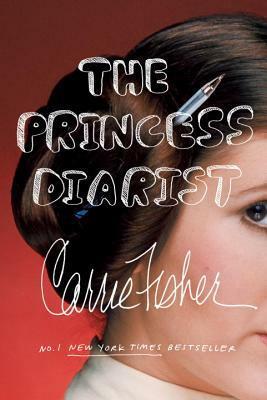 I highly recommend reading The Princess Diarist by Carrie Fisher about the making of the original Star Wars (now “The New Hope-Episode IV” – ACK!) 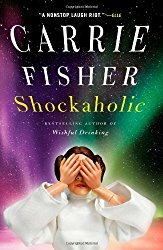 The memoir came out only two months before Fisher’s death in December 2016 and over a year before her last movie Star Wars: The Last Jedi made it to the big screen. Fisher’s first memoir based on her Broadway show (2008). 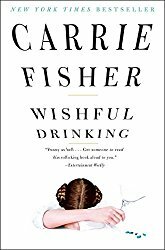 I really like Carrie Fisher’s writing. I’ve read her two earlier memoirs and she definitely has a unique voice and wonderful style—witty and poignant. It’s sometimes hard to sympathize with “poor little rich girls” and their first world problems, but Fisher has a self-mocking, vulnerable attitude that fans and non-fans alike can relate to. Her well-known struggles with alcohol/drug abuse and bi-polar mental health issues put her in the same boat with millions of Americans. Her authenticity comes through in all her books. Heralded as a “tell-all” book, forty years after the filming of Star Wars, Princess Diarist is much more than a tell-all and much less. Those readers looking for salacious details will be very disappointed. The 68 pages from the diary Fisher kept, while filming in London, show the promise of the writer she would become. They are raw and heart-wrenching; filled with poetry, stream-of-consciousness, and gut feelings; a cry for help from an insecure 19-year-old obsessed with an older married man. But it wasn’t quite forever. The recent Star Wars trilogy ushered in a new phase for Carrie Fisher’s character. Smart-talking, active Princess Leia transformed into the elder-icon of the Resistance and strategic leader General Organa. Unfortunately, Fisher never got to fully experience this transition. Just as the first movie in the new trilogy focused on Ford’s character of Han Solo and the second on Mark Hamill’s character of Luke Skywalker; the third movie in the series was to be Fisher’s, wrapping up her story line and providing a fitting tribute to the character of General Organa. She died before filming, leaving the studio in a fix and fans hoping for a technological resurrection. That won’t happen. After much wrangling and thought, the studio announced that whatever happens to Leia Organa in the third movie will be off-screen. Carrie Fisher also died before the Women’s March in January 2017, but Princess Leia/General Organa’s spirit pervaded the massive world-wide crowds. In New York, I saw myriad Images and quotes from the character on signs. Women and little girls dressed up as the rebellious princess. People of all genders and ages chanted words of defiance. One of my favorite signs showed a picture of Robin Wright as Buttercup, the titular princess in The Princess Bride, next to an image of her as the Amazon General Antiope from Wonder Woman paired with pictures of Fisher as Princess Leia and General Organa. The caption read “I’ve lived to see my childhood princesses become generals.” Fitting praise for a 19-year-old who soldiered through a turbulent life to bring wisdom and humanity to an iconic character. I would have loved to read Fisher’s reaction to the transformation of Leia into a symbol of a real revolution. Something else to mourn. The tribute video below shows some of my favorite lines delivered by the feisty princess. The character was a refreshing and long-overdue departure from the traditional fairy tale princesses I grew up with. The pervasive reach of the Star War franchise in our culture over the past 40 years ensured that little girls finally had a brave, smart, funny role model on the big and little screen—a role model Carrie Fisher brought to life and one that will live on long after her death. I felt this book was a fitting memorial to a brave, intelligent and troubled woman, actress, and icon. RIP Carrie Fisher as your character and your words live on.